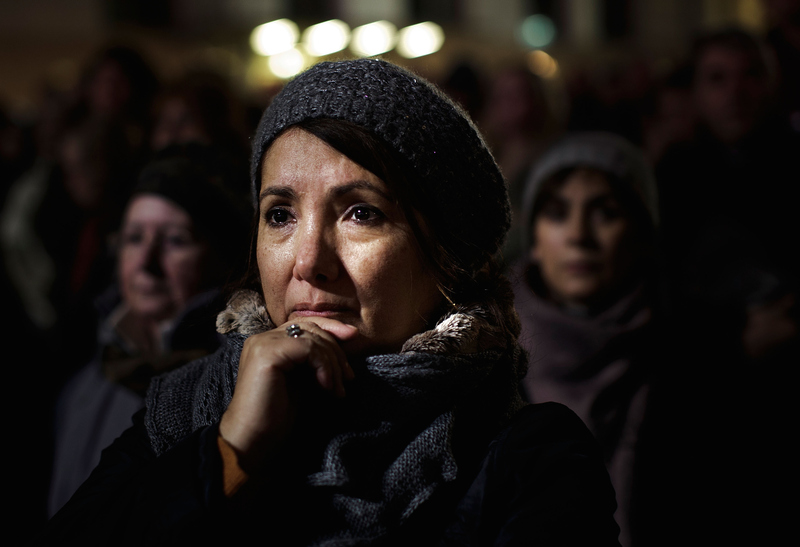 A woman attends a vigil on January 13, 2015 organized by Muslim groups at Berlin’s Brandenburg Gate to commemorate the victims of the recent terror attacks in Paris. Germany is home to four million Muslims, and many mosques and Muslim associations have been outspoken in condemning the recent terror sprees by Islamic extremists that left 17 people dead, including 10 employees at the satirical Charlie Hebdo magazine. By Carsten Koall/Getty Images.